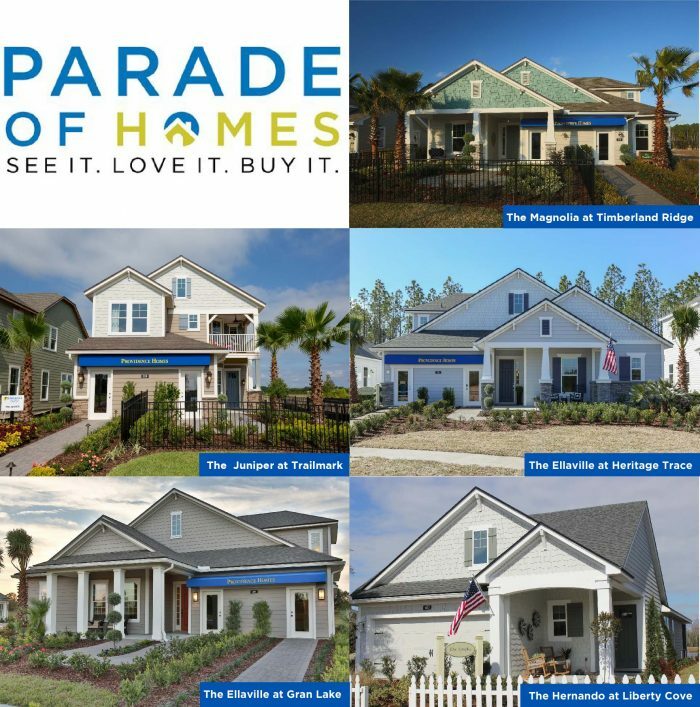 Providence Homes is excited to announce we have entered five new 100% ENERGY STAR Certified model homes in the 2018 Northeast Florida Builders Association Parade of Homes. The model homes will be available for preview through 29 April 2018 at the following locations... In Nocatee, Providence Homes has three (3) new model homes to tour, The Magnolia, The Hernando, and The Ellaville. The 3,049 sq. ft. Magnolia Model at 110 Pine Manor Drive Ponte Vedra, FL 32081 located in Timberland Ridge neighborhood features 4 bedrooms, 4 baths, a 3-car garage, and 3,143 sq. ft. of living space. The Hernando Model at 611 Vista Lake Circle located in Liberty Cove at Crosswater features 1,627 sq. ft. of living space, including 3 bedrooms, 2 baths, and a 2- car garage. And The Ellaville Model at 70 Village Grande Drive in Heritage Trace at Crosswater offers 3,116 sq. ft., with 5 bedrooms, 4 baths, and a 2- car garage. At Gran Lake, we’re proud to feature The Ellaville Model, located at 89 Evenshade Way, St Augustine, FL 32092 offers 3,116 sq. ft. of living space, with 5 bedrooms, 4 baths, and a 2-car garage. And at TrailMark, the Juniper Model features 2,559 sqft. Of living space with 3 bedrooms, 2.5 baths, and a 2-car garage overlooking lake and amenity center. All Providence Homes models are 100% ENERGY STAR® Certified with conditioned attics using spray foam insulation and 16 SEER HVAC system. “As-Built” HERS® Index Ratings are available at each model. This year, the Northeast Florida Builders Association Parade of Homes features an a terrific new app that includes information about each model, as well as directions to each featured home. Download the app Here (android) or Here (IOS). The Northeast Florida Builders Association Parade of Homes runs from Saturday, April 14nd –through Sunday April 29th. The Providence Model Homes are open daily Tuesday-Saturday 10AM-6PM and Sunday & Monday from 12-6PM. For additional information visit our Model Homes page. Don’t miss your chance to tour our gorgeous ENERGY STAR® certified models – and maybe find the Providence home of your dreams!